Wow, are we ever on the fast-track countdown to Christmas! Are you in need of a last minute gift or decorating idea? Then I have just the thing for you. 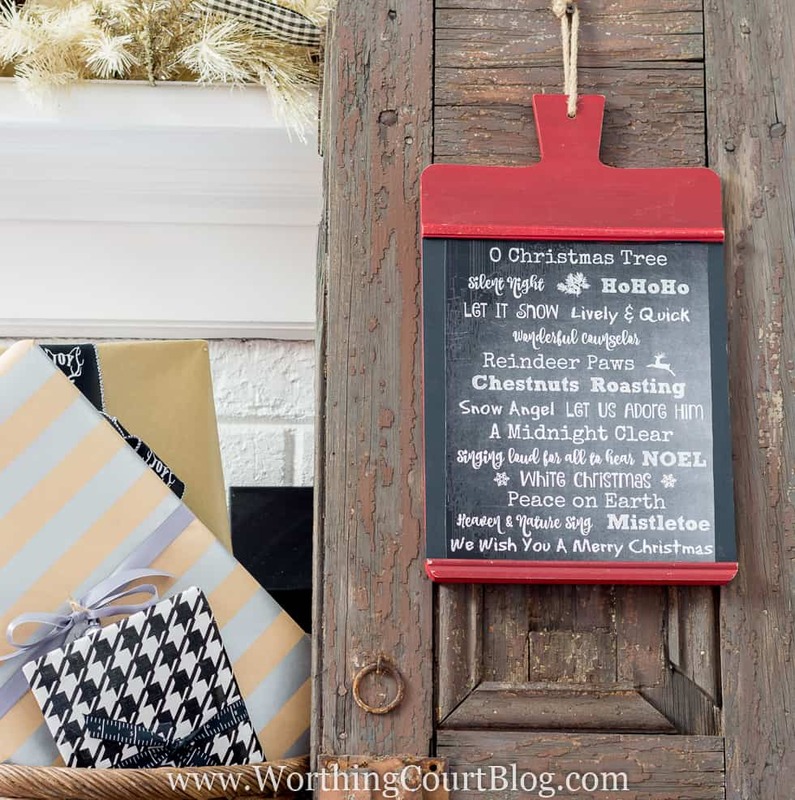 A sweet reader contacted me before Thanksgiving, saying that she liked my fall chalkboard printable so much, she wondered if I’d be doing one for Christmas. I promised her that I would do my best to fit it into everything else going on this time of year and here’s what I came up with. 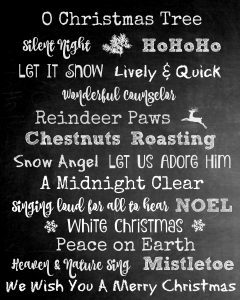 I tried to embody everything that my mind conjures up when I think about the Christmas season when making the printable. I put together a very quick example of a cute way to display it. Mine is simply decoupaged onto a hanging wooden easel, but you could certainly frame it instead. I think it will look really cute in my Farmhouse Christmas Kitchen this year! Click HERE to download the 8 x 10 printable. Love the printable and thank you for sending it my way. Happy holidays and a blessed new year. 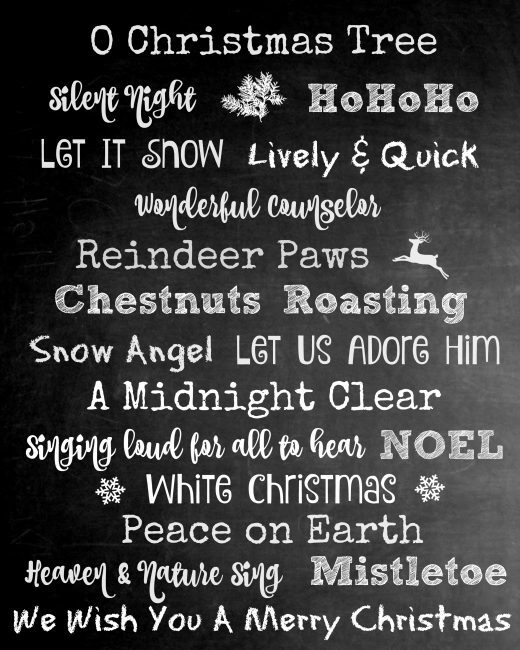 Thank you for sharing this wonderful Christmas print! I love it! Thank you for the printable. Merry Christmas!